Further to this post, this is the latest advertisement of the fathers' rights group Fathers 4 Justice (a larger version can be found here). It claims that the Conservative Party has broken promises regarding family policies, and refers to Matt O'Connor's hunger strike starting today as 'the first in a series of hunger strikes by parents'. I can't say that I'm in favour of hunger strikes as a means of seeking change - rather too close to blackmail for my taste. In any event, we are talking about the welfare of children here, which is obviously more important than the lives of a misguided few. Oh, and the group might want to have a word with their advertising agency, or whoever put this advert together. The implication of the picture is obviously that a (family court) gavel smashed the child's toy. Unfortunately, this falls into the trap that so many fall into, and that one would have thought a serious fathers' rights group would know: the courts in this country do not use gavels. yeah, but they are attacking the conservatives. i begin to like them. There does seem to be something that happens to politicians of all colours when they get to power in Westminster establishment. They tend to forget their promises and who voted for them. I could give a lot of examples. I didn't vote for them, but I think there will be those who are sick because they did for the reasons detailed and now feel betrayed by the hollow words and usual cheap shots at non resident parents by Dave Cameron. May he never get an overall majority. A curse on all three of their houses as Shakespeare would say. Alec Salmon seems like a decent chap. Someone like him would be better. The Scottish Family courts also have a lot more respect than the English ones (wouldn't be hard). Misguided few? You'll be telling us next that family court judges don't wear wigs! We vehemently DISAGREE with a rebuttable presumption of Shared Parenting, as being demanded by those loony, hunger-striking, dead-beat, runaway fathers! 'Shared care arrangements' are only to be bestowed upon a father who has earned it. To earn it, he needs to invest thousands of pounds in 'purchasing' such an arrangement in the courts. Those fathers who will not engage with Court System (with our 'help' of course), those who will not invest their money (or that of the Government through legal aid), those who will not play by the clear rules, should NOT and must NOT be given a 'shared care arrangement' automatically! No way, Hose! Are we to give the whole shop away???????? Is a father simply to sit back and expect a 'shared care arrangement', unless it can be proven by others that he is an unfit parent???? If so, how can we possibly extract a penny from him????? It won't do....it simply won't do!! 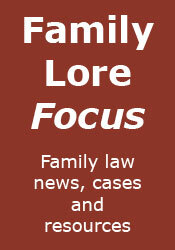 We Family Lawyers have the close ear of the President of the Family Division. We shall be making our view known to him, very, very persuasively indeed! He won't wish to see our beloved family justice System decimated by such a preposterous idea as an automatic rebuttable presumption of Shared Parenting. And what a cheek from the fathers' rights groups!!!! You think that you have a God-given universal Right to parent your own children! Nonsense! Nothing is free in life, dear gentlemen - take out your cheque books if you wish to parent your children! Think of the livelihood of your friendly family lawyer, before you rudely demand things for which you haven't paid in full. That's robbery, if you weren't aware!!! Thank you for your most excellent comment. You are clearly a man after my own heart. Not sure what a hose has got to do with it though. Perhaps for beating over the client's head until they cough up? Surely hose is what judges wear under their gowns. There are times when I must, regrettably, remain anonymous; when I am being openly critical of our most esteemed President, for example. Raising one's head above the parapet can be a little dangerous, wouldn't you agree, Edgar? I know of one magistrate who is known to wear a pair of his wife's tights in winter. “An automatic rebuttable presumption of shared parenting” That sounds rather painful. On a serious note, children who benefit from shared care arrangements generally do so because their parents have been civilised enough to agree matters between themselves. My ex-wife decided that I was not welcome to a 'shared care arrangement'. I assure that I am not alone in this respect, and I sincerely hope that it does not happen to you! I was forced to spend £100,000 in order to attain a 'shared care arrangement'. When all my money had been safely transferred to Mr Edgar Venial's bank account, I took up the reigns 'in person'. Unfortunately for my children, Sir Nicholas Wall, applying the guidance in Payne, judged in Re D that the 'distress argument', presented by my ex-wife was more "powerful" than the benefit to my children from their continuing to enjoy the 'shared care arrangement' that had been in place for two years. I am very pleased indeed that the (non-family) judge Bick LJ understood the importance of shared care arrangements (a.k.a. Shared Parenting). The question is, will ALL children now be permitted to benefit from a 'shared care arrangement' or only those whose parents agree (as you mention) or those whose parents are prepared to part with a small fortune in the family courts? That wasn't me - I'm not that cheap. I thought I recognised the style. I believe you have been posting this stuff on a variety of sites and blogs. I note you refer to the recent ruling of LJ's Thorpe, Moore-Bick and Black in which they affirmed the wisdom of Hedley J in Re.Y as to how the Payne discipline should be applied/intepreted in cases where there is, effectively, shared care as opposed to a primary carer. It is unfortunate that you and the other denizens of The Custard Minefield appear not to have seen fit to see fit to cite the wisdom of Hedley J in your campaigns and numerous open letters about the beastly Payne ruling. The Re.Y ruling was made in 2004- hadn’t any of you noticed it? I suppose there is little need for jurisprudence when you have all that "scientific evidence" to impress the court. Even Bob Geldof joined in with a series of hilariously anachronistic and mismatched nouns and adjectives, all indicating that it was a genuinely ghastly state of affairs. OK folks, I think we'll draw a line under this. Comments closed.